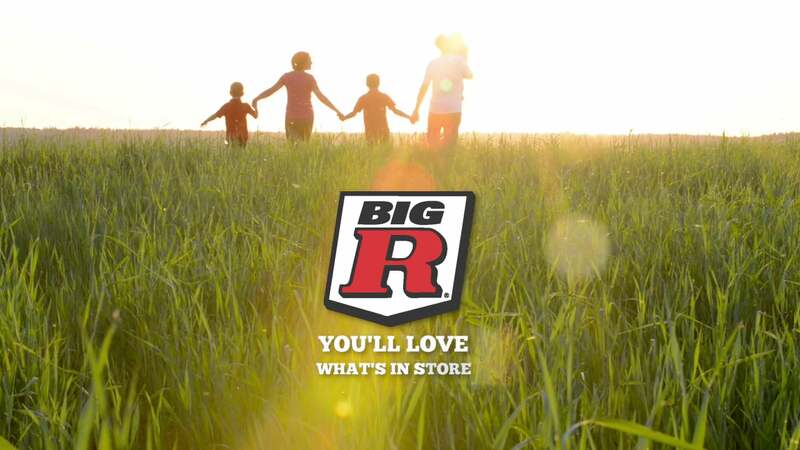 Big R Stores are a franchise that can be found essentially all across the country, but we were contacted by the group based out of Indiana and Illinois. The goal was to start to generate more of a brand for the group, beginning with developing a television commercial concept. We began with wanting to inject some emotion into what is typically a more commodity-based business. 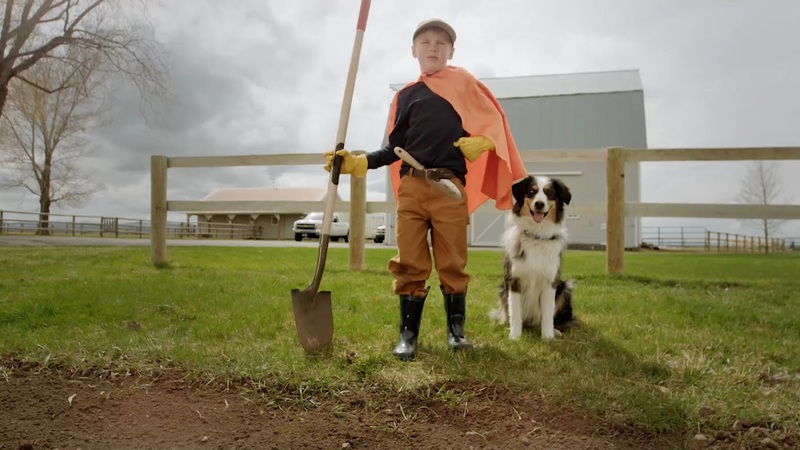 Our concept was to tell a quick story of a kid wanting to help his mom in the garden, and chose a location on the edge of Bozeman that featured a classic barn and nice garden. We had to choose angles that could look like the midwest, and hired local actors. The end result is a spot that connects Big R with its audience in a much deeper manner than in the previously information-only-based approaches. 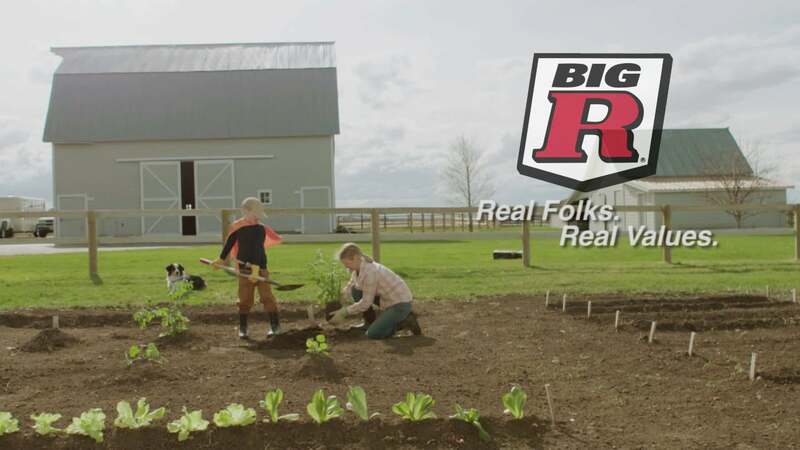 After the more emotional "Lawn & Garden Superhero" spot was launched, the folks at Big R Stores wanted to also integrate some specific product information. This wasn't necessarily our preference versus staying with the emotional approach, but we came up with a template for the mid/end portion that satisfied their sales team's needs while not abandoning the emotion. Again, much of it shot in a way that could appear to be in the midwest instead of Montana. We also created a holiday-themed television spot, this time without the products and strictly brand-building.